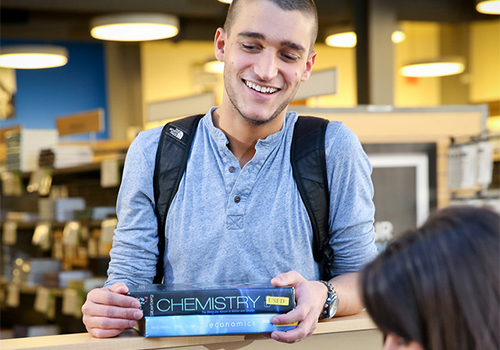 The campus bookstore offers competitive textbook options, and with an on-campus presence, can deliver personal, one-on-one help and guidance. There was a time when the academic year was properly punctuated by a Fall back-to-school season, signifying the beginning of a two-semester school year. But education has changed, and so too have the needs of the students seeking learning materials. 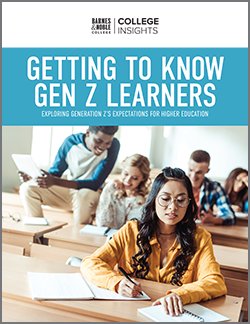 Increasingly, campuses are adding mini sessions or second half-semester classes, summer programs and Learning Modules, which have all resulted in a year-round demand for textbooks. 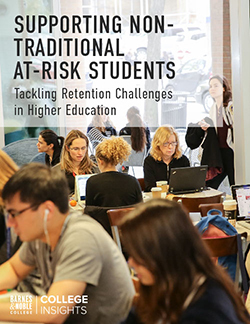 Meeting that challenge, and keeping up with the constant demand for new learning and study materials is a role the campus bookstore has learned to master. 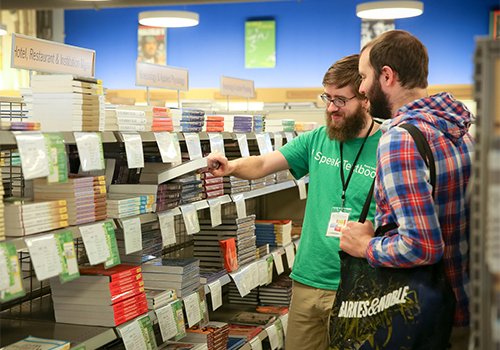 Providing the widest selection of course materials at the best prices has been a long-standing objective for Barnes & Noble College and, as the world’s largest bookseller, the company provides access to the largest selection of affordable course materials, textbooks and trade books available. “We’re able to partner with over 7,000 publishers,” explains Patrick Haze, Vice President, Course Materials for Barnes & Noble College, “and that’s part of the key that has helped us deliver an overall $1.5 billion in savings to our students since 2012,” he says. But even when the student doesn’t use registration integration, the bookstore website automatically displays available formats and pricing options of their course books from an easy selection of drop-down menus. Because the information comes directly from faculty members, students can accurately identify and obtain the correct versions and editions used for their specific classes. Haze maintains that, increasingly, the most popular way to acquire books is through renting. “In the last four or five years, the opportunity to rent has had a significant effect on student savings, and now almost 80 percent of the books we carry are available as rentals,” he says. Those students starting new classes this year will have already found their course books, ordered, packed up and waiting for them at their campus bookstore, but it doesn’t stop the resolve of the campus bookstore to continue to look for new ways to help deliver textbook convenience and savings. “Innovation is more than a buzzword at the College, and Barnes & Noble College is a significant partner in helping us modernize processes that leverage the newest technologies and to help ensure that our students will reach their full potential,” Tri-C’s Dr. Foltin says. Whether through programs like FacultyEnlight, that make for easier textbook adoptions by faculty members, or through offerings like the rental buyout program, where students can purchase the books they’ve been renting, it makes the campus bookstore an extremely convenient and competitive source for textbooks.